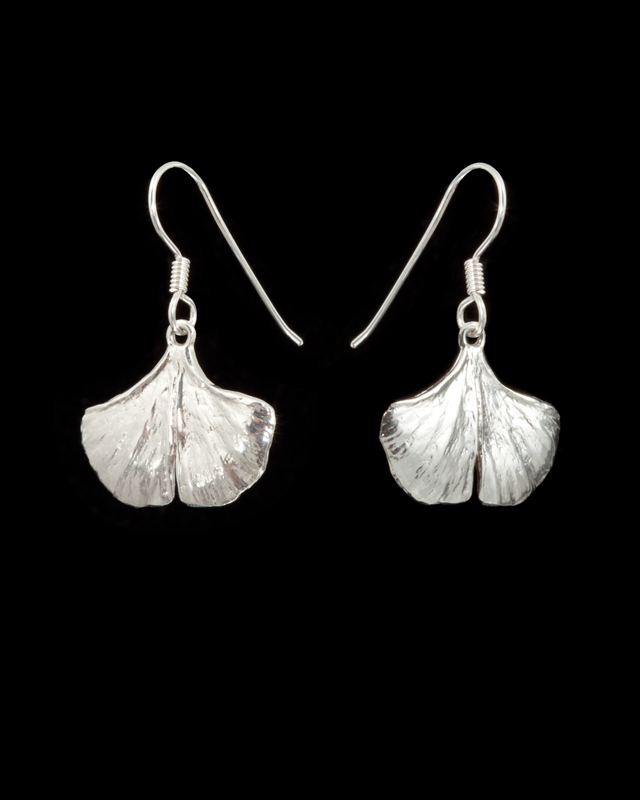 These baby ginkgo earrings were originally cast from actual ginkgo leaves and are a favorite with everyone. The Ginkgo or Maidenhair tree is considered a living fossil because it is one of the oldest trees in the world. Supposedly they're the only tree that survived Hiroshima. Ginkgo Biloba is also a very popular herb. Artists have always loved the graceful leaves and Frank Lloyd Wright used ginkgoes in the motif of his house in Chicago. A matching necklace is available if interested.